The island of Java and Bali. The two islands of Indonesian archipelago. Indonesia has many islands, in facts there are more than 18,000 islands spread over the Indian Ocean according to survey by National Institute of Aeronautics and Space in 2002. Amazing isn’t it? So many islands and so many nature beauties with incredible power underneath with their unbelievable active volcanos. Ready to erupt at any time. 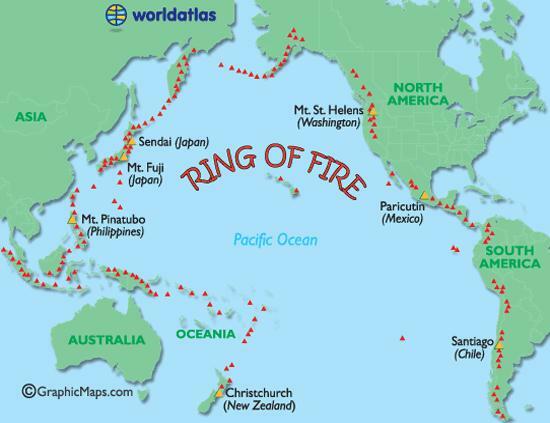 Indonesia located in the ring of fire, see the map above, the image is taken from the world atlas. Many thanks for the map. That explain why we have so many volcanos spread all over the island. There are really powerful beauties. Magnificent and dangerous. 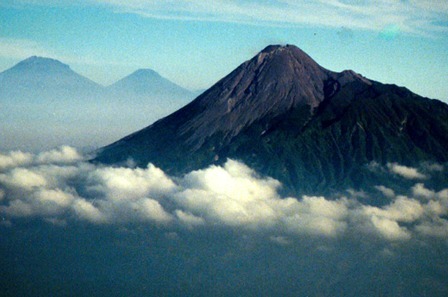 So beside the paradise can you consider Indonesia as a volcano danger that can erupt at any time. Ironic isn’t it. But the volcanos make many grounds fruitful after the erupted, which cost so many offers, people and material. The views of these volcanos are incredible. There are really truthfully mighty views. You’ll feel how little you are in front such as great creation. 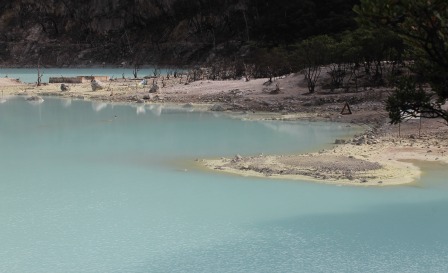 And the Crater Lake that comes from the volcanos has their own beauty, which has amazing color. I will tell you more about the island of java and Bali, not about the whole Indonesia; it’s just too big to get all of them in this site. These two islands are full of attractions. 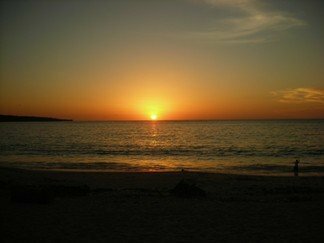 The beaches are beautiful, in java as well as the famous Bali. 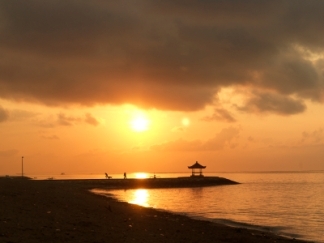 The beauties of beaches in Java are not under of the Bali beaches. 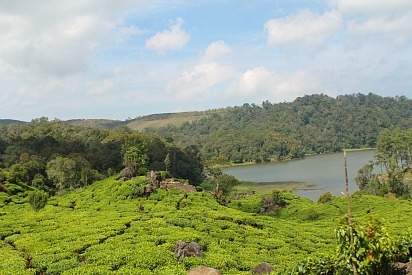 On the contrary, some of them are even more beautiful than Bali, but there aren’t as famous as Bali. There are still untouchable by human being, nature in their own. The Volcanos, as I have already tell you, there are plenty. 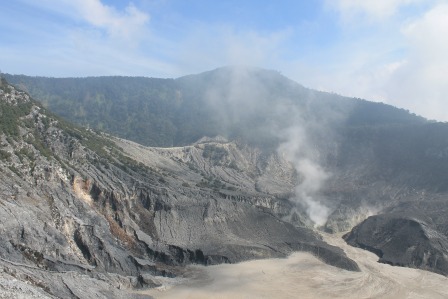 The most famous volcano in Java is Mount Bromo. It has really a magnificent sunrise. The temple. The island of Java and Bali have a great collection of temple. There are two big difference temples between these two islands. You will learn more about this after looking around this site. And the most important thing, the culture of Indonesia. It still exists until today. I have to admit it that modern time is already broken in Indonesia. With so many modern shops in the big cities, culture gets less attention. In some cities preserve the culture until today, such as Jogjakarta, it still has the atmosphere of the Indonesian old culture. And the last one but not at least, the food. Indonesia provides many great foods. It’s famous all over the world. There are a lot of great Indonesian restaurant in the whole world. But the original of the taste, you have to discover by yourself in this country. Fabulous taste. I mean it. 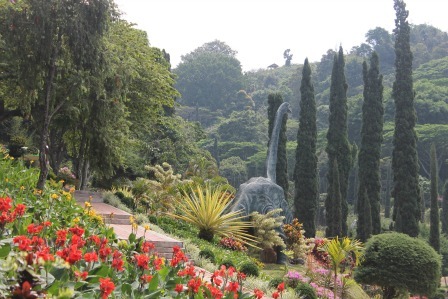 I have lived in Indonesia, in Bandung to be exactly, a lovely city regardless the traffic. I still love this city. It has his own charm. No matter how long I leave Indonesia, its keeps me attract to it. I miss it very much when I leaving Indonesia. I still visited Indonesia, as much as I can. It’s not only the beauty of the country that I still captive it, I miss the people. Each time I visited, it feels like home. I keep saying to all people who asked me where I will spend my vacation. And I say to them, I’m going to Indonesia and I’m not going on vacation. I’m going home. Home Sweet home. So I hope that my passion about Indonesia can keeps you here to discover the island of Java and Bali. If you like this site, please tell others about my site. And if you want tell your story about Indonesia, your experience while you staying there, you can certainly do that, just fill the invitation below. I’ll be happy to receive your story. I can put it on my site, so you will see your own article here. Have A Great Story About Indonesia? Do you have a great story about Indonesia of part of it? Share it!